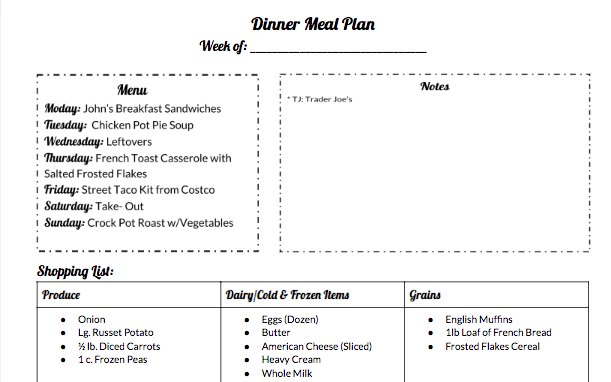 It's time for a new weekly meal plan and this week I'm all about breakfast for dinner! Is this a favorite at your house? We love planning breakfast for dinner because we know it's something that every single family member will eat, which is a big win! I also love breakfast for dinner because we already have a ton of the ingredients on hand, which makes grocery shopping super easy this week as well. 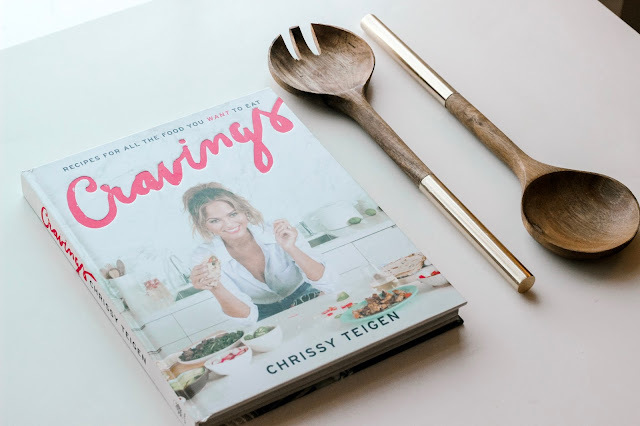 Take a peek at some of the breakfast recipes I'm featuring this week from Chrissy Teigen's Cravings Cookbook! Monday: John's Breakfast Sandwiches- Everyone in our family LOVES a good breakfast sandwich, in fact the little lady's would gladly eat an egg, bacon and gouda breakfast sandwich from Starbucks everyday if I let them! I think these are going to be delicious and as I mentioned before, most of the ingredients are things we buy on the regular anyway, which makes things super easy! 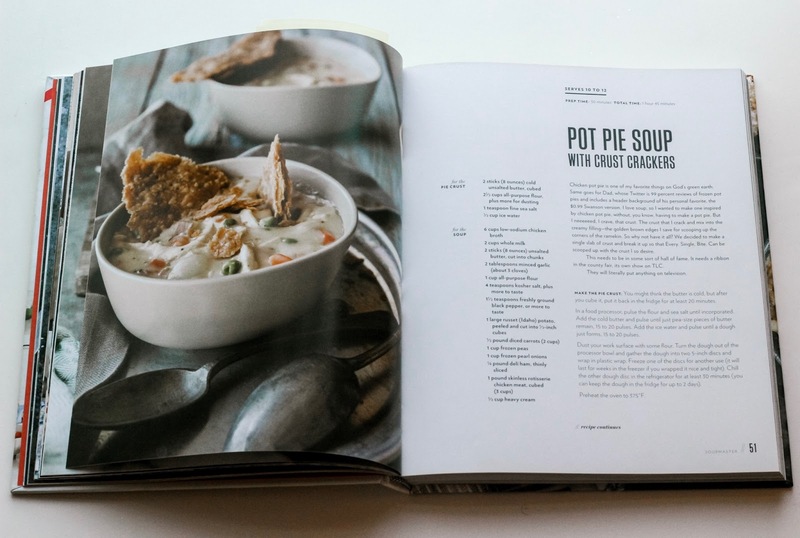 Tuesday: Chicken Pot Pie Soup w/Crust Crackers- I can't wait to see how this one compares to the the Chicken Soup from last week, which was SO easy and SO delicious! The crust crackers are an extra step, but seem easy enough for a special touch in this recipe! Little Ladies: I'm going to set aside some of the chicken from the recipe for the girls to eat, most likely they will dip it in ketchup and I'll serve it with a side of fruit and veggies! 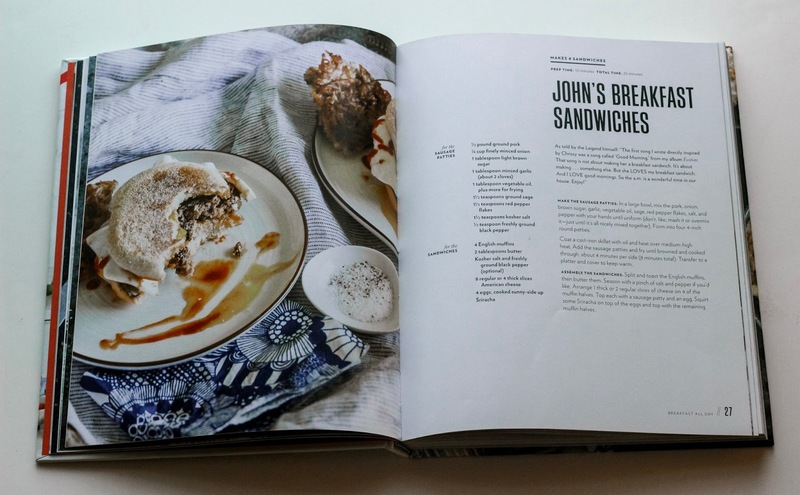 I'm pretty sure I mentioned this last week as well, but I also always have the quick Trader Joe's brown rice on hand too, which would be a good side for this meal as well. 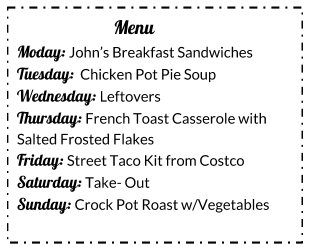 Wednesday: Leftovers- I have a feeling we will have a bunch of soup leftover, so we will have a smaller bowl of soup and pair it with a side caesar salad! I am loving the caesar dressing from Trader Joe's, so yum! 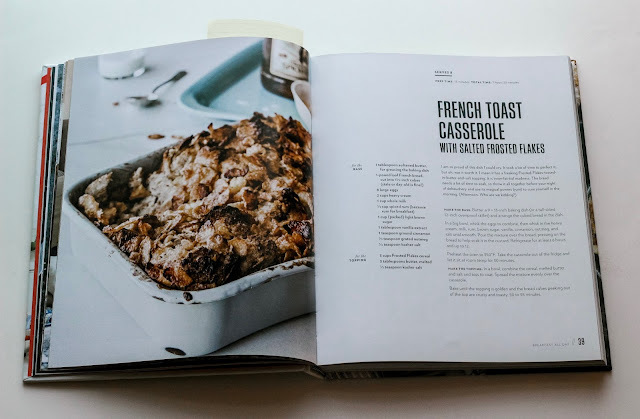 Thursday: French Toast Casserole with Salted Frosted Flakes- This looks seriously delicious and again something even the little ladies will try (even if it's just a bite). I'll scramble up a side of eggs with a few veggies added in to pair with this deliciousness! Friday: Street Taco Kit from Costco- Ok, if you have a Costco membership, stop everything you are doing, drive to Costco and pick up this kit in their prepared meal section! This huge kit will feed your entire family and the cilantro lime sauce that it comes with is so delicious you may want to drink it. Little Ladies: Little ladies will enjoy some cheese quesadillas with a side of Wholly guacamole. Saturday: Take-Out- Ahhh, the best night of the week, take-out night- no cooking and no clean-up! I am craving Thai food and hope I can convince Scott to jump on board with that too- I LOVE yellow curry over jasmine rice, SO good! Sunday: Crock Pot Roast w/Vegetables- Ok, ready to push the easy button for Sunday night dinner too? Grab a large round of the eye roast from the meat department, a pack of Good Seasons all natural Italian dressing packet and a little beef broth, put that all in the crock pot and let it cook all day. Shred the beef and serve as sandwiches OR throw in some potatoes and veggies for more of a roast feel and serve over mashed potatoes. Such a yummy, easy dinner that all the Snyder's will enjoy!